This Saturday and Sunday the biggest and most awesome 24-hour celebration of the Dutch independent underground Van Onderen takes place in Paradiso Amsterdam. We are so excited to be a part of it! 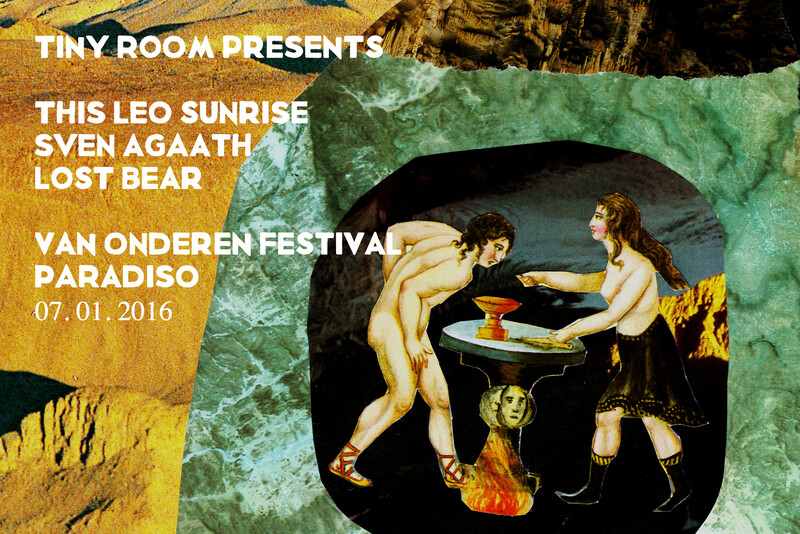 This Leo Sunrise will be playing on Sunday morning from 9.45 to 10.15 in the small room, upstairs. Sven Agaath plays a little bit earlier in the basement, from 9.00 to 9.30. And Lost Bear is doing a few acoustic songs in the hour-long fest that our grubby sister organization Shaky Maracas hosts, on Saturday from 13.00 to 14.00 (also in the basement). In the Shaky Maracas hour, there are A LOT of great projects and bands from our friends (Lost Bear members, Bonne Aparte members and Ducktape Records people) playing. Read about them here: http://www.van-onderen.nl/shaky-maracas/. Don’t miss this! In between these recommendations, there are more than 80 other options to see shows, and they’re all good. There is no need to highlight any of them – just go to all of them. Bring your own drugs.